Mount Vernon furnace is in good overall shape, particularly in respect to its age. 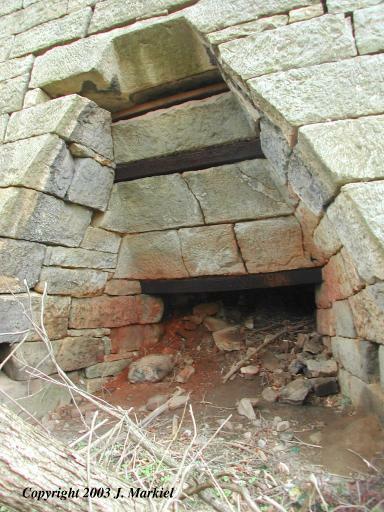 As noted by Sharp & Thomas, the iron lintel above the main opening does state "MT VN 1801". Still, the LH side has extensive damage due to trees, and the rear side has a number of missing stonework. 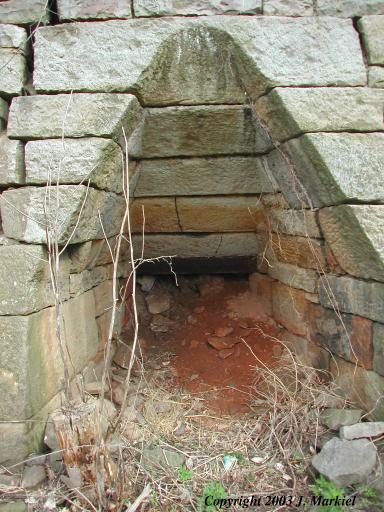 The RH side has a number of stones missing by the base and a long crack runs clear to the top of the stack. 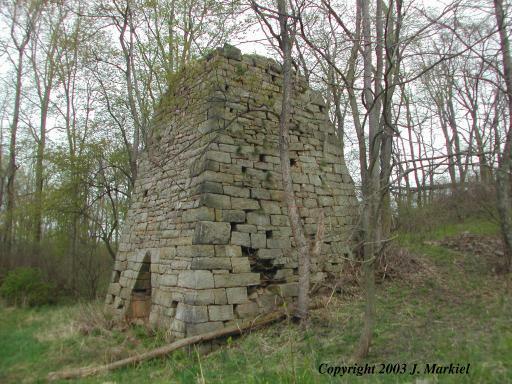 Sharp and Thomas reported that they were able to crawl into the furnace, but it did not appear to be safe at this time. I did find a piece of flat iron lintel from the creek by the furnace. 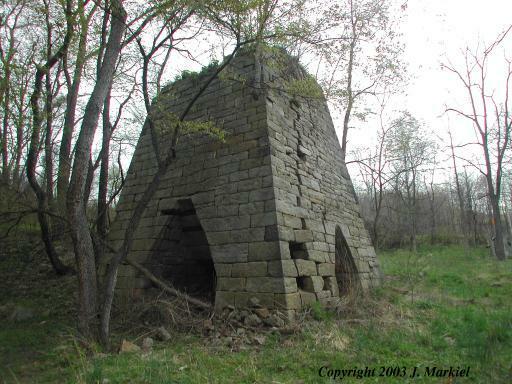 Despite the relative age of the furnace, it appears to have possessed a blast mechanism based upon the creek and the depressed area in the area adjancent to the side tuyere. 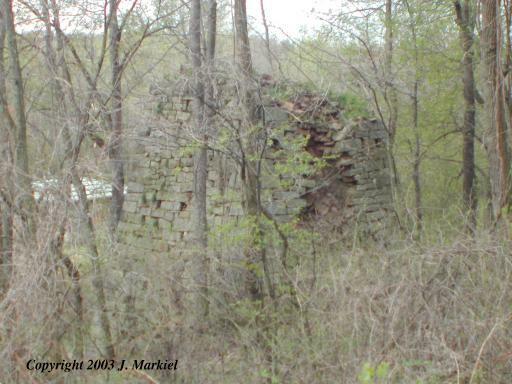 The area around the furnace has been covered by an extensive amount of growth, covering up opportunities for artifacts. I searched the area but did not find any evidence of slag deposits. Start of Operation: Built between 1795 and 1800, probably started operations in 1801 (see text above). Take 982 South to Woodale. Turn left onto State Route 1044 and follow for 0.8 miles. You will come to a four way stop, make a hard left onto TR819. The furnace will be on the left 0.3 miles down the road.